Marcel Link has been involved in trading for more than twenty years and, for the last several years, has been a successful independent trader of futures and stocks. Previously, he founded LinkFutures.com, which was a discount, online brokerage firm. Link is a former member of the New York Financial Exchange. For more information, visit www.MarcelLink.com. Chapter 1: Everyone Needs a Plan. A Typical Good Trader Prepared with a Plan. The Trading Plan and the Game Plan. A Disclosure or Two before We Continue. Chapter 2: The Trading Plan. A Business Plan for Traders. Making a Trading a Plan. Breaking Down the Trading Plan. Chapter 3: The Game Plan. The Basics of the Game Plan. Chapter 4: Get To Know Yourself. Figuring Out Who You Are. The Importance of Knowing Your Style. Your Strategy Needs to Fit Your Style. Why Should You Have a Strategy? What Goes into a Strategy? Times Frames and Holding Times. Stick to Your Trading Strategy. Chapter 6: Know Your Markets. Know What You Are Trading. Chapter 7: After the Close. Review Your Plans and Strategy. Chapter 8: Before the Market Opens. How Are the Markets Opening? Were There Any Big Moves Overnight? Look for Possible Trading Situations. Make Your Daily Game Plan. Chapter 9: Drawing Up Scenarios. Back to Monitoring Open Positions. Once The Trade Is On. Making Scenarios for the News. Generic Stuff to Look at with Open Positions. 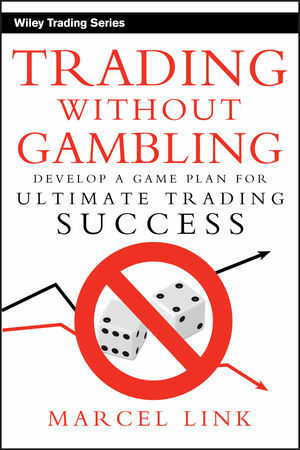 Chapter 10: Taking the Gamble Out Of Trading. Good Trades Can Be Losers. Two Parts to a Trade. Waiting for the Right Opportunities. Ways to Get the Odds in Your Favor. Drawing Scenarios for the Getting Into the Trade. Look For Patterns within the Long-Term Trade. Deciding How Much to Trade. Cutting Losses and Letting Profits Ride. Using Stops in Your Game Plan. Chapter 13: Reviewing and Managing. After The Trade Is On. Chapter 14: How To Keep From Overtrading. You Don't Always Need to Be in the Market. Stop Being In Too Many Positions. Using a Game Plan to Help if You Trade Too Many Positions. Keeping to Risk Management Limits. Incorporating Your Money Management Plan into Your Trading Plan. Incorporating Your Money Management Plan into Your Game Plan. Establishing Money Management Procedures of Open Positions. Using Your Rules to Make a Trading Plan. Appling the Money Management Rules. Chapter 17: Focus and Discipline. Have a Routine to Help You Write a Game Plan. How to Stay Focused If You Have Trouble Staying Focused. Chapter 18: Learning How To Win. Don't Blame Others for Losses. Think Of It as an Expense and Not a Loss. Losses Are In The Past. Money Management Is More Important Than Trade Selection. Jumping In Too Soon or Getting In Too Late. Do Not Let Big Winners Turn To Losers. Make a List of Rules. Learn As Much As You Can about What You Are Trading.